TITUSVILLE, Florida - An unmanned sport utility vehicle (SUV) was used to as a battering ram to smash into a reinforced doorway in an attempt to burglarize a pawn shop early Wednesday morning in Titusville, Florida. Titusville police discovered the wreckage when they responded to an alarm at Space Coast Pawn, located at 358 Cheney Highway, at approximately 12:30 a.m. on Wednesday, September 14th, 2016. Investigators say that concrete brick pavers were positioned to hold down the accelerator of the SUV to crash into the east side of the building which destroyed a reinforced door and concrete wall around the doorway. 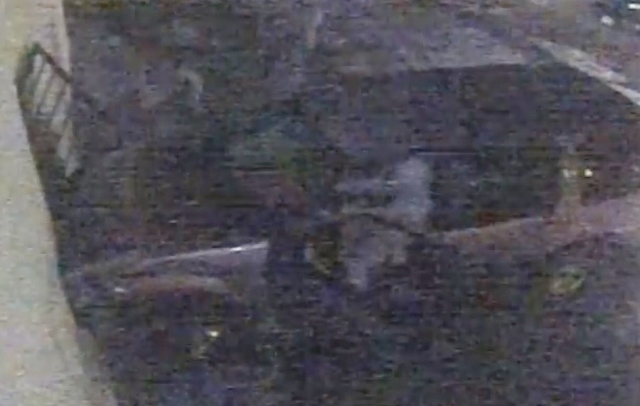 Surveillance video footage shows three masked suspects attempted to navigate past the entrapped SUV and concrete debris in an attempt to enter the business. However, the suspects were unable to gain entry and left the scene in a silver 4-door Chevy without any stolen merchandise. If anyone has any information about this crime, please contact the Titusville Police Department at (321) 264-7800 and/or Crimeline at 1-800-423-TIPS.